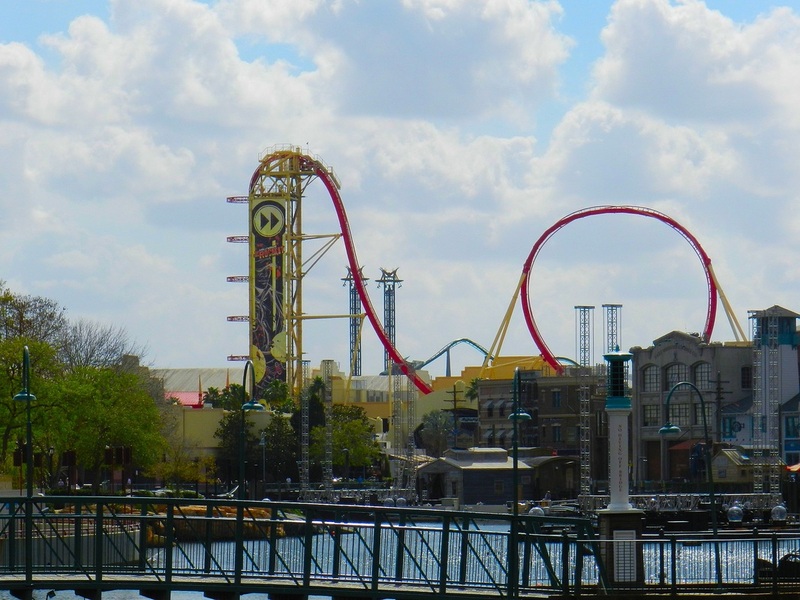 Sitting just a few hundred feet from it’s sister park, Islands of Adventure, Universal Studios is located in Orlando and has rides based off many movies Universal has created. The park is themed in to 6 different areas. They are Production Central, New York, San Francisco/Amity, World Expo, Kidzone, and Hollywood. Even though many of these rides are old and outdated, they are still some of the best rides ever created. Not only are the rides and theming great, the food throughout the whole park is just as good. When you first enter the park you walk in to Production Central, which holds 2 of the best rides in the park. They are Jimmy Neutron’s Nicktoon Blast. 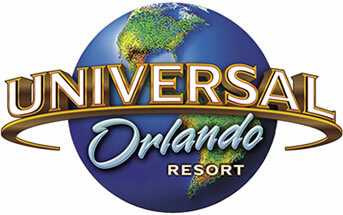 If you watch Nickelodeon and are a fan of the shows, you will love this ride. Jimmy and Carl lead you through other shows like Spongebob and The Rugrats. The other ride is Shrek 4D. On this 4D adventure you join Shrek, Donkey, and Princess Fiona on a journey that picks up where the first Shrek movie ended. The next area you go to is New York. New York houses 2 attractions, one of which is new for the 2004 year. The first attraction is more of a show than a ride, and it is Twister. You start off getting taught about tornadoes and what they can do, and then you get to experience one up close and personal. You see power lines fall, signs blowing around, and get to see a tornado just feet in front of you. The new ride is said to be the world’s first psychological thrill ride. It is the Revenge of the Mummy, which is part dark ride and part coaster. You enter Imothep’s tomb and come face to face with scarab beetles and mummy warriors as you try to escape his wrath. Up next is San Francisco/Amity, which holds 2 great, classic attractions. They are Earthquake and Jaws. In earthquake you first learn about special effects and how they are made, and then get to experience an 8.3 earthquake for yourself in a subway station. I won’t spoil anything that goes on down there, but it’s just an amazing sight to see. The other ride is Jaws where you come face to face with the mammoth great white shark you saw in the movies. But this time there is no beach, you are taken through a river on a boat not knowing where he is and what awaits you around the next corner. After San Francisco comes the World Expo. Just like the other areas, there is only 2 rides here. They are the interactive Men in Black and Back to the Future. In Men in Black you are being tested to see if you are good enough to become the new agent in the Men in Black. You go through a town overrun by aliens and have to shoot them and get the highest possible score. Back to the Future is an old, but fun, motion simulator. Biff takes the Delorian and Doc Brown sends you to get it back on the new 8-seat time machine. The next area is Woody Woodpeckers Kidzone. There are a few small kid rides in here, including a few shows. They are Animal Planet Live, A day in the Park with Barney, Curious George Goes to Town, and Fievel’s Playground. The other 2 rides I have not mentioned are ones that may be worth giving a ride. They are Woody Woodpecker’s Nuthouse Coaster, which is a good kiddie coaster, and the E.T Adventure where you try to help E.T. save his dying planet. The final area, Hollywood, only has one attraction, Terminator 2 3D. It’s more of a show than a ride, and it’s a pretty good one. It uses a mix of 3D film and special effects as you join the Terminator in trying to destroy the machines.